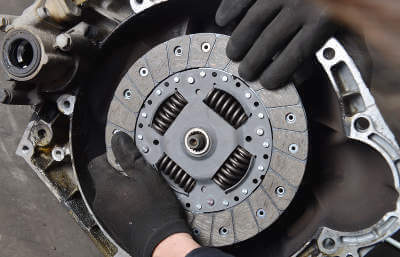 A survey performed earlier this month found a replacement clutch service in the UK could cost anywhere between £200 and £350 depending on the hourly service rate offered at that particular garage. This harrowing and surprising figure felt like being prodded with a sharp stick! With the cost of living at an all-time high, a failed MOT and being shackled with a hefty replacement fee could seriously set us back and deny or delay a long-term investment- like a holiday or some needed renovation. Yet, whilst a financial setback is an annoyance, it’s nothing compared to the safety when driving of ourselves and, more importantly, our loved ones, which is why we’ve come together to bring you this checklist of good practice you can partake on to keep your clutch in the best possible shape and keep your health and your wallet happy! Do fully press and release the clutch as you cycle gears and come to a still. The most wear and tear done to a clutch is when the pedal is only half depressed. Do use the brake to hold yourself stationary on a hill, rather than the clutch. Do take off in first gear, rather than third. As a convenience, too many people will cut the engine in third and take off the following day the same. This is poor practice and will wear out your pressure plates. Do begin to slow down well in advance of stopped traffic or a red light. By the time you reach the light or traffic, you might find you don’t need to stop at all, meaning you can drop the clutch on a ceasing engine and avoid slipping. Do match the engine speed to the rear-wheel speed when down-shifting. Also, lift the throttle a little bit as you release the clutch, as this will make the shift smoother. Don’t ride the clutch pedal. We’ve all been there: sat at the lights, high traffic, tapping fingers to wheel as we’re on the way home. It seems so easy to keep your foot rested on the clutch pedal, as you prepare to switch through the gears after the lights. This is a mistake. It reduces pressure between the clutch plate, disk, and flywheel and will eventually cause it to break. Rest your foot at the side and release the clutch only when you’re actively changing gears. Don’t drop the clutch for quick acceleration. The principle of good clutch practice is to shift gears at the optimal RPM and match it. The shock absorption springs aren’t built to handle the type of stress they will face when you slam the clutch plate into a engine already spinning at a very high speed. Don’t park your car in gear. Yes, it’s convenient but it also places unyielding pressure on your clutch disc, even when you’re not moving. When at all possible, leave your car parked out of gear. Don’t change gear when you don’t need to. Maintaining a constant speed is always preferable and if you can take a good scope of your road and plan ahead, you’ll be able to manage the change of your gears to best capacity. Bottom line on a clutch is you want your foot on the pedal as little as humanly possible, this includes shifting, stopping, starting, etc. When you do change gear, it’s best to be prompt as even seconds of unneeded pressure placed on your clutch can mount up over a long period of time. One interesting point raised in this discussion is that of clutch wear vs. brake wear. Indeed many of the measures we recommend to preserve your clutch can and will impact your brakes. Downshifting, for example, will mean that you use your clutch more frequently but not doing this will put more strain on your brakes and wear on them instead. A balance of the two is always preferable but one key thing to consider is that replacement brakes are a fair bit cheaper than a replacement clutch.